Russian submarine launched Sineva ballistic missile close to Norwegian waters Saturday morning. 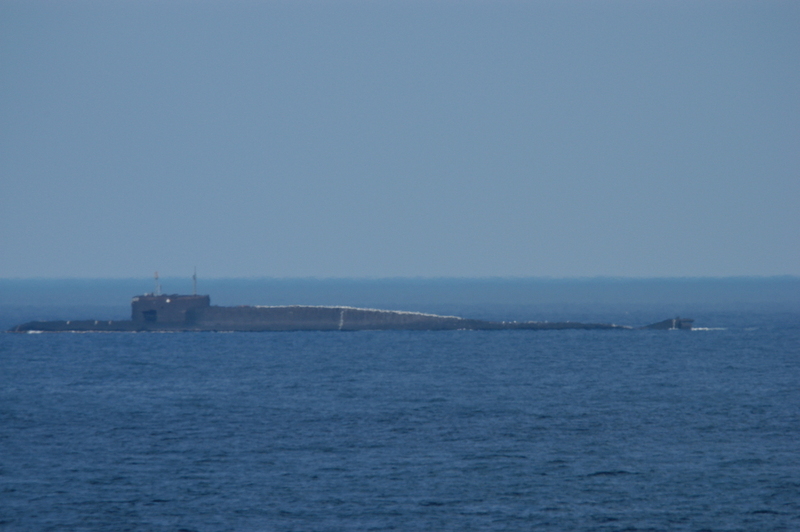 From submerged position just north of the Kola Peninsula, the Delta-IV class submarine “Verkhoturye” launched the Sineva intercontinental missile (SS-N-23). Some 20 minutes later the missile’s dummy warhead hit the Kura training grounds in Kamchatka, the Defense Ministry reports from Moscow. A possible launch of a ballistic missile became known a few days ago, as Russia issued a warning referred to by HYDROARC. The warning was set for the waters north of the Fishermen’s Peninsula northwest of Murmansk. The waters in question border the Norwegian sector of the Barents Sea to the west. Sineva is a 3-stage missile and the area of the Barents Sea marked close to Norwegian waters is likely where the first stage of the missile fell off and hit the water while the rest of the missile continued ballistic. The map was first published on twitter by @7FBTK. According to the Defense Ministry, today’s test was the 27th successful test of a ballistic missile from the “Verkhoturye” - the oldest of Russia’s Delta-IV class submarines first put into operation in 1984. “Verkhoturye” was modernized in 2010-2012, including an upgrade to carry 16 of the new Sineva missiles. A video of the launch was Saturday afternoon posed on YouTube by the Defence Ministry. The Sineva missile was first time tested in 2004. In May last year, President Putin himself supervised a Sineva launch during a large nuclear missile exercise. Earlier this week, Vladimir Putin shocked the world by hinting the use of nuclear weapons against IS terrorists in Syria. At a meeting with Defense Minister Sergey Shoigu, Putin said “Hopefully, no nukes will be needed against ISIS,” the Kremlin financed broadcaster RT reported. The statement came after the Russian Kilo-class submarine “Rostov-on-Don” on December 8th launched a Kalibr cruise missile from its position in the Mediterranean towards a target in Syria. The submarine came directly from a testing period in the Barents Sea where a similar Kalibr cruise missile was launched in early October, as reported by the Defense Ministry. The Barents Sea and the Kola Peninsula plays an important role in Russia’s strategic military build-ups. In addition to submarines and onshore weapon deposits, the aircraft carrier “Admiral Kuznetzov” is currently training in the Barents Sea up front of a possible voyage to the waters outside Syria later this winter. Senior Researcher Kristian Åtland with the Norwegian Defence Research Establishment says to the Independent Barents Observer that with Russia’s warfare in Syria, Kola is becoming an even more important strategic military resource pool. Kristian Åtland is expert on Russian security and defence policy and keeps an extra eye on the developments in the high north. “They have naval forces with considerable range and firepower, especially cruise missiles,” Åtland explains. He says the ability to move forces over large distances have increased since 2008 as a result of modernization, professionalization and organizational changes. Over the last two years, the numbers of nuclear warheads onboard ballistic missiles submarines operating from bases on the Kola Peninsula have increased considerable. Russia’s Northern fleet has both the Delta-IV and Borei-class submarines in operation in the Barents Sea and Arctic Ocean. Pointing to the fleet of strategic nuclear submarines, Putin called for development of infrastructure at the bases. Defence Minister Sergei Shoigu the collegium that more than 95 percent of the launch units within the Strategic Missile Forces are in constant combat readiness. “We have enhanced the combat strength of the marine strategic nuclear forces. Two strategic submarine missile cruisers – the Alexander Nevsky and the Vladimir Monomakh – have been brought to a state of permanent combat readiness. Marine strategic nuclear forces are equipped with up-to-date armaments by 56 percent,” Shoigu said according to the transcript from the meeting. RIA Novosti reported earlier this week that the two last in a series of eight Borei-class ballistic submarines will be laid before the end of 2015. 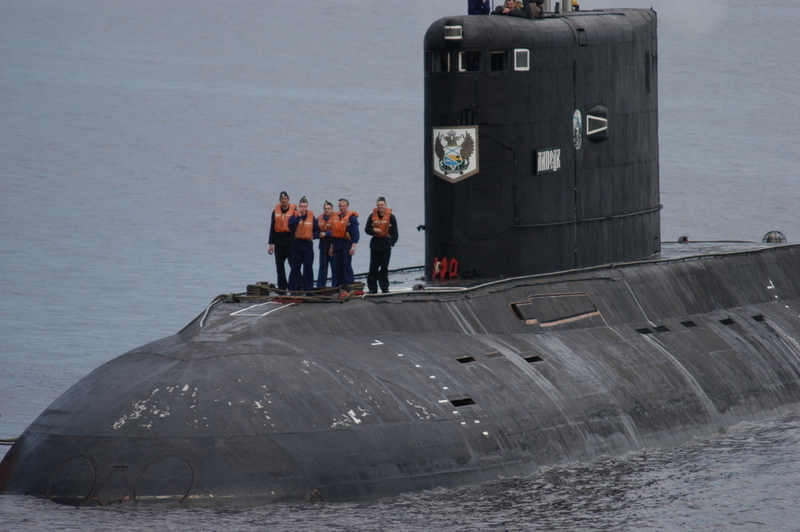 The submarines are to be built at the Sevmash yard in Severodvinsk outside Arkhangelsk. On the coast of the Barents Sea, the fleet of Delta-IV class and Borei class submarines are based in Gadzhiyevo.